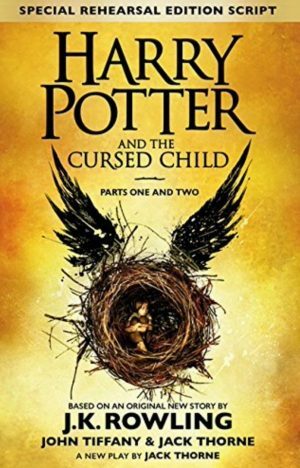 Toby L’Estrange (aged 10) is planning to speed read the new Harry Potter book as soon after midnight on the morning of 31 July as he can. 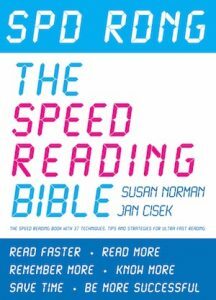 He learnt extra ‘spd rdng’ techniques from his expert speed reading grandma, Susan Norman, who has written a book (Spd Rdng: the Speed Reading Bible available on Kindle – in full or as a summary version of the Speed Reading Bible). Getting into a good state is easy. The bonus is that it makes you feel good and helps you do anything (reading, learning, listening, interviewing, anything…) better. On your next big slow outbreath, relax from the top of your head down to your toes – relax your eyes, your jaw, your shoulders, your hands, your tummy, your legs, your feet. Do that again. And as you start breathing normally, smile. Not just a little smile, a great big cheesy grin. This spd rdng is going to be fun! Your concentration point is a point about 30cm above your head, slightly behind your head. About where the top of a wizard’s hat would be. Take your attention to that point (just think about that point). Keep your eyes still and relaxed. Notice that you can see more (without moving your eyes, you can see further round towards both of your ears). 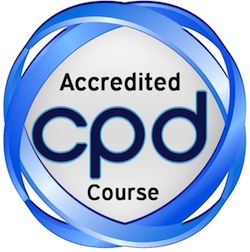 Add the concentration point to your good state: drink water, sit well, breathe and relax, focus on your concentration point, big cheesy grin … you’re ready to start reading! Whenever you’re going to read something, think about what you want to do with the information. This is your purpose. Not your big goal, like ‘I want to be a doctor’, or ‘I want to pass the exam’, but your purpose for reading this book right now – maybe, ‘the information I need so I can write my homework essay’. Your purpose for reading Harry Potter and the Cursed Child is … ‘to get the information from the story as quickly as possible’. You don’t always want to read very, very quickly. Sometimes, you want to read more slowly so that you can enjoy the excitement or the way the writer is telling the story. That’s OK. You read at whatever speed you like so that you enjoy what you’re reading. You might find though that you want to speed read the story very, very quickly so you’re one of the first people to find out what happens – and then read it again not quite as quickly, so you can enjoy the feeling of living the story along with the characters. You can do both. Just as you need to do a bit of stretching and practising before you run a race, so you will be able to read more quickly if you give your eyes and brain a bit of practice before you start reading. What you do here is not exactly the same as you will do when you’re reading the story to find out what happens. This is an exercise – follow the instructions exactly! 1. Choose any chapter of any book and read about 10 lines ‘normally’, but as you read, underline what you’re reading with your finger. Make sure you’re looking at the words, not at your finger. 3. Keep going, but now cut off about 1cm from the beginning and end of each line as you underline what you’re reading (you don’t need to concentrate on every word, you can understand what’s happening in the story even if you don’t concentrate on the beginning and end of each line). Do this for about 3-5 pages, then sit up, hold the book a little bit further away, and notice that although you don’t understand everything, you can see words and phrases as you whizz past. SMILE when you can see words and phrases. 5. Now start reading at your best comprehension speed (as fast as you can while understanding what you’re reading) – you’ll be reading faster than before. After about 3-5 pages when you start seeing words and phrases, SMILE. When the alarm goes off, stop reading. Count how many lines you’ve read. Write down a list of what you’re going to do from now on whenever you want to speed read. Then compare it with our list below. Get your book ready and mark where you want to start reading. Go to the point you’ve marked and start reading as quickly as you can with understanding. You might want to test yourself before and after doing all these speed reading exercises. You need to do one test before you do the exercises and one afterwards (and then one after you’ve had a bit more practice). Choose a book you’ve never read before. Set your timer for two minutes. Open the book at the first page, start the clock and read at your best reading speed with comprehension until the alarm goes off. Count (and write down) how many lines you’ve read (count all lines except those which only have one word). ‘Your best reading speed with comprehension’ means that you read as fast as you can, but make sure you understand what you’re reading. When you do a second test to see how much faster you can read after the exercises, either start from where you stopped before, or start at the beginning of a new chapter. Reading summaries of novels or plays is a valid way of getting overviews, for example, a summary of Harry Potter the Cursed Child. Posted in #1 Blog On Speed Reading & PhotoReading, Summaries of Books, Good Books to Speed-Read, News, Research On Speed Reading, How to speed read novels and tagged Harry Potter and the Cursed Child, How to speed read Harry Potter the Cursed Child, Toby L’Estrange.